​from one-time opportunities like our Teen Service Days to deeper commitments like our summer-long Youth Leadership Program! Generation SERVE offers teens and parents the opportunity to develop deeper connections to our nonprofit partners and the clients they serve with Dedicated Family Placements! These opportunities vary, but they always involve a training and a commitment to multiple days of service. Dedicated Family Placements build teens' skills while they log significant service hours AND provide our partners with trained and committed volunteers! Generation SERVE teens and parents volunteer in a direct service capacity with children and parents at the Jeremiah Program, an organization committed to transforming families from poverty to prosperity two generations at a time. While moms in the program participate in classes and leadership opportunities, Generation SERVE families provide childcare. This placement is a great fit for teens who like to work with children and build connections with the people they are serving. Stay tuned for future opportunities at Jeremiah Program. 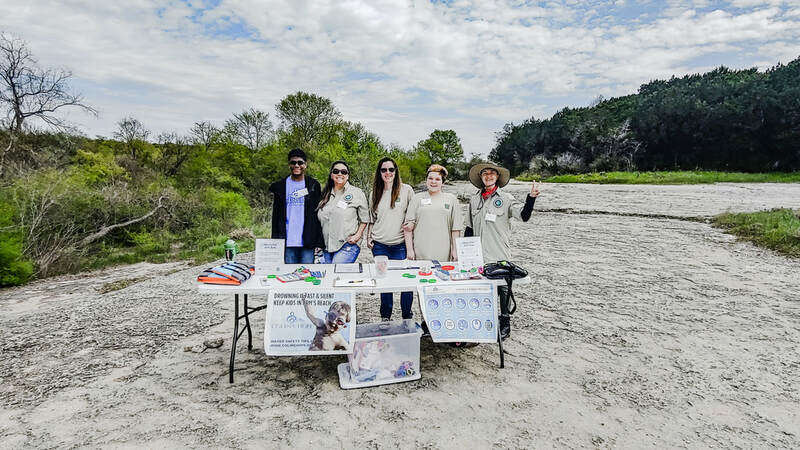 Generation SERVE teens and parents provide visitor education on water safety and drowning prevention at McKinney Falls State Park. This placement is a great fit for teens who like to meet new people, spend time outdoors and gain leadership experience. This program is a partnership with Colin's Hope, an organization that provides water safety and drowning prevention education, and Texas Parks & Wildlife, which preserves and manages the state's parks. ​​Volunteers must be 13 years or older. This program is intended for parents and teens to participate together. Teens and parents must be able to commit to at least three outreach dates, plus training. To receive communications about teen opportunities like these, please make sure you have registered your family with Generation SERVE. ​QUESTIONS? Contact Charli Krause at charli@generationserve.org. Each month we offer Teen Service Days - opportunities for teens to volunteer alongside their peers without a parent or guardian. These events give teens experience with volunteer projects in support of many different nonprofit organizations and community needs. For teens who are ready for a leadership role within our organization, we offer the summer Youth Leadership Program. This program gives middle school and high school students the opportunity to complete leadership training during the summer months and to become Teen Co-Leads (middle school) and Teen Leads (high school) for our Family Volunteering Program. ​To join this program, teens must complete an application and interview process and be selected by our Youth Leadership Director and Teen Advisory Board. Applications for our 2019 summer Youth Leadership Program are now closed. Volunteering alongside a parent or guardian is still incredibly valuable for teens. On our monthly Activity Calendar, we offer many volunteer activities for youth ages 12+ and their families to volunteer at activities that are longer and more extensive than the activities offered to other age groups. We understand that youth ages 12 and older are capable of staying focused for longer periods of time and completing more complicated work, so we seek out opportunities for these youth and their families to serve our partner nonprofits in very meaningful ways.